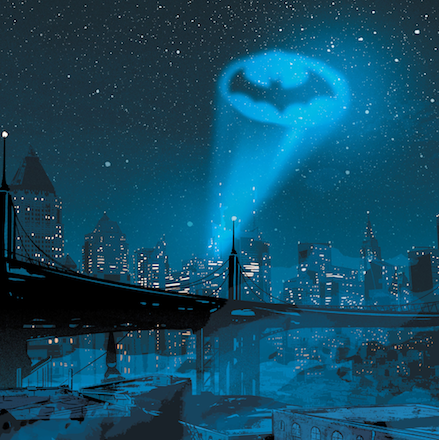 The Appeal Board of Japan Patent Office (JPO) has cancelled an initial decision by JPO examiner to refuse the mark “GOTHAM CITY” with a logo, and ordered to grant protection for the mark by decision of March 14, 2017 [Appeal case no. 2016-9140]. 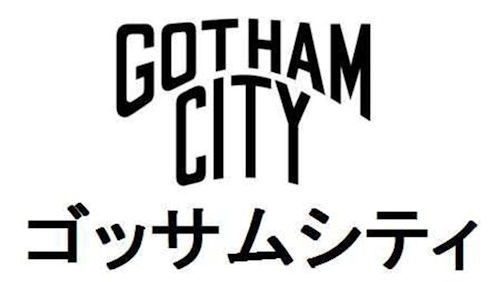 The mark in dispute consists of “GOTHAM CITY” written in alphabetical letters and Japanese characters as shown below. Applicant filed the mark on April 17, 2015 to the JPO by covering goods of “key holders; fashion accessories” in class 14, “bags; pouches; vanity cases” in class 18, and “clothing; waistbands; belts” in class 25 [TM application no. 2015-37755]. JPO examiner initially refused the mark for confusion with DC comics, a US comic book publisher, or its affiliate pursuant to Article 4(1)(xv) of the Japanese Trademark Law since “GOTHAM CITY” is widely known as a fictitious city out of Batman from DC Comics. Article 4(1)(xv) is a provision to prohibit any applied mark from being registered where relevant consumers or traders are likely to confuse or associate the mark with renowned sources other than applicant. It would suffice to apply the provision where consumers conceive goods or services with the mark derive from entities systematically or economically connected with the source even if relevant consumers believe the goods or services are not from the source. It is not conditioned that renowned source indicator should be registered in advance, however, the indicator must obtain high degree of trademark awareness from the nature of things. 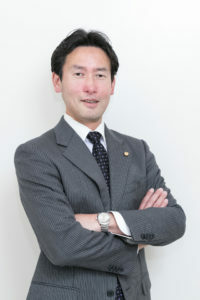 Applicant filed an appeal against the refusal decision by examiner on June 21, 2016 and argued for registration of the mark in dispute. Consequently, the Appeal Board decided in favor of applicant by stating its grounds as follows. The Board considers that the word “GOTHAM” is an unfamiliar or rarely known word in our society. Thus, the applied mark with a combination of “GOTHAM” and “CITY” and its pronunciation in Japanese characters is deemed an invented word in its entirety and does not give rise to any specific meaning at all. In the meantime, ex-officio examination during the appeal trial revealed that the term of “GOTHAM CITY” corresponds to a fictitious city out of Batman which has been published by a US publisher, DC Comics, since 1939 as a work of comic book, movies, television programs in series worldwide. In view of high movie box office ranking to Batman movies and DVD series in Japan, it is no doubt that Batman becomes famous among the general public. But, when it comes to “GOTHAM CITY”, it just appears in texts to introduce contents of these movies and DVDs. Board could not find any fact to demonstrate the term is used at advertisement or promotional materials in a manner to attract attention to the public. If so, the Board may admit a certain degree of awareness of the term “GOTHAM CITY” to represent a fictitious city out of Batman among movie fans. But it must be insufficient to admit the term is widely known among the public in general. Apparels, fashion accessories and bags. These goods in dispute for general consumers with an ordinary care are distinctively different from goods or services in the field of entertainment, movie and comics in light of remoteness of manufacturers/suppliers, location of transaction, distribution channels and usage/applications. Based on the foregoing, the Board held that it is inadmissible to find the term “GOTHAM CITY” has obtained high degree of awareness among ordinary consumers in connection with apparels, bags and fashion accessories at the time of initial application as well as the time of the trial decision. If so, relevant consumers and traders are less likely to conceive a source of goods with the mark in dispute from entities systematically or economically connected with DC Comics. Accordingly, the Board finds that it is quite unlikely to cause confusion between applicant and DC Comics. Therefore, the refusal decision errored in applying Article 4(1)(xv) on the case and should be cancelled. The Trademark Examination Manual (TEM), official criteria released by JPO, sets forth issues relating to foreign geographical names (TEM 41.103.01). TEM 41.103.01 provides that name of a city, sightseeing spot will be refused in principle on the grounds that it indicates the location where the goods are manufactured and sold (location of transaction) or the location of service, even though these names may not be directly perceived as the location of transaction in the mind of consumers. It is noteworthy that TEP has no reference to a name of fictitious city. Board decision implies name of fictitious city can be registered by unrelated entity to original work of art unless the city gets popular among the public in general as well. Posted on 2017年5月27日 by Masaki MIKAMI in alphabetical name, Article 4(1)(xv), examination and tagged Fictitious name, GOTHAM CITY.